Solar power projects continue to win favour in Africa, with Senegal and Nigeria approving new projects in recent weeks. The projects below were reported in the most recent edition of CapProCon. Vinvi Energies’ subsidiary Omexom has been awarded a contract by Société d’Electricité du Sénégal (Senelec) for the construction of eight solar PV power plants in Senegal. With a combined capacity of 17 MW in Senegal, the projects represent a EUR26.8 mn (USD32.04 mn) investment, financed by the German bank KFW and Senelec. Handover is scheduled in July 2018. The new plants, made up of a total of 62,850 solar panels, will be spread over four large regions: the Saloum Islands and the Thiès region in the western part of the country and the Tambakounda and Kolda regions in the east. The Thiès plant, which will be directly connected to the grid, will have installed capacity of 15 MW. The other seven plants, which have a hybrid (PV-diesel) design, some with battery storage, will have a total combined capacity of 2 MW. Wärtsilä has been awarded the engineering, procurement and construction (EPC) contract for its first utility-scale solar photovoltaic (PV) power plant. 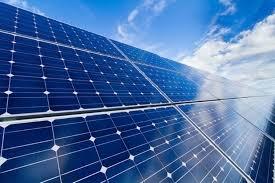 Pan Africa Solar is developing the 75 MW plant that will be the largest of its kind in Nigeria. “Our contract bid was successful because we were able to bring added value to the project in various areas, including local support and technical advisory services. Pan Africa Solar and Wärtsilä are currently finalising the EPC contract and in the meantime, this letter of award is a major milestone,” says Javier Cavada, president, Wärtsilä Energy Solutions. This project is one of 14 solar PV projects by IPPs (independent power producers) signed in July 2016 by the Nigerian Bulk Electricity Trader (NBET), part of Nigeria’s Federal Ministry of Power. The total power generated by these projects when completed will be 1.2 GW, all of which will be transmitted to the national grid.